Landmarks of Prophecy is a 21-part, epic Bible study adventure presented by Pastor Doug Batchelor, president of Amazing Facts. You’ll delve into the pages of the Bible to get clear, trustworthy, logical answers to your most pressing questions about life, faith, and the future—while getting life-changing insight into what lies next in human history and the practical tools you need to thrive in the here and now! And while Landmarks is a unique study experience in the Bible, you don't have to be a Christian to enjoy it. We've designed it so that anyone from any denomination, faith, or worldview can learn what the Bible really has to say about prophecy and much more. Using the latest media technology, this series is designed for today’s sophisticated audiences and presents the landmark themes of the Bible in a bright and compelling way. What significance does a prediction given thousands of years ago have for you today? What recent world events are the fulfillment of prophecy and harbingers of the end? Are you ready for the coming crisis? Plus, you’ll learn what the Bible really says about the second coming and the rapture; the truth about hell, heaven, death, and the afterlife; the facts surrounding the antichrist, the mark of the beast, and the seal of God; relevant insight into grace, salvation, and the Ten Commandments today—plus information about the origin of evil, why there is suffering in the world, the United States in prophecy, and so much more! 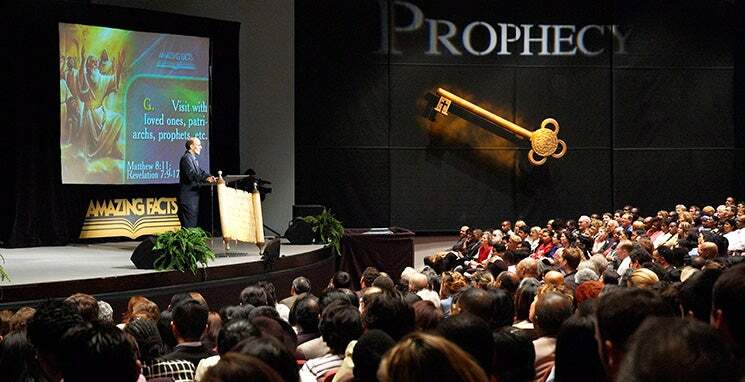 Landmarks of Prophecy will offer you incredible assurance that God is in control and that the keys to unlocking the future do not come from palm readers or psychics, but rather from the Word of God—the Bible! 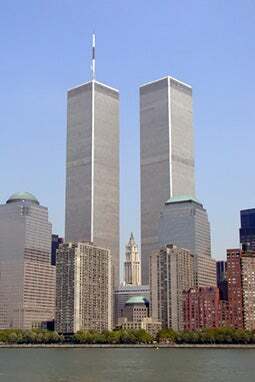 Until the events of September 11, 2001, the World Trade Center was the tallest building in New York City and the second tallest in the world. Its two towers dominated New York’s vista for decades, and more than 30 million people visited the observation deck at the top. During its construction, 1.2 million cubic yards of earth were excavated and placed in the Hudson River, which created more than 23 acres of new land for Battery Park. The 425,000 cubic yards of concrete used in building the World Trade Center was enough to build a five-foot wide sidewalk from New York City to Washington DC. The center was the largest “office building” in the world, with 12 million square feet of rental space and 43,600 windows. Each twin tower had 99 elevators, with the two express elevators traveling 107 floors in less than a minute—faster than 25 feet per second! These landmark towers also attracted many daredevils. On May 26, 1977, George Willig suction-cupped his way up the northeast wall to the top. On August 7, 1974, Philippe Petit tight-roped between the twin structures. And several other adventurers parachuted from the top.